After years of filling in elsewhere, Hallack Greider is the new pastor at Maplewood Presbyterian. EDMONDS — The Rev. Hallack Greider has shepherded many churches through transitions, as an interim pastor in Silverdale, Kirkland, Mill Creek, Oak Harbor and Edmonds. Some were grieving the loss of their longtime beloved leader. Greider would parachute in to unfamiliar ground to deliver a sermon, searching for the right tone. He would fill in for months or even a couple of years, to prepare things for the next long-term pastor. 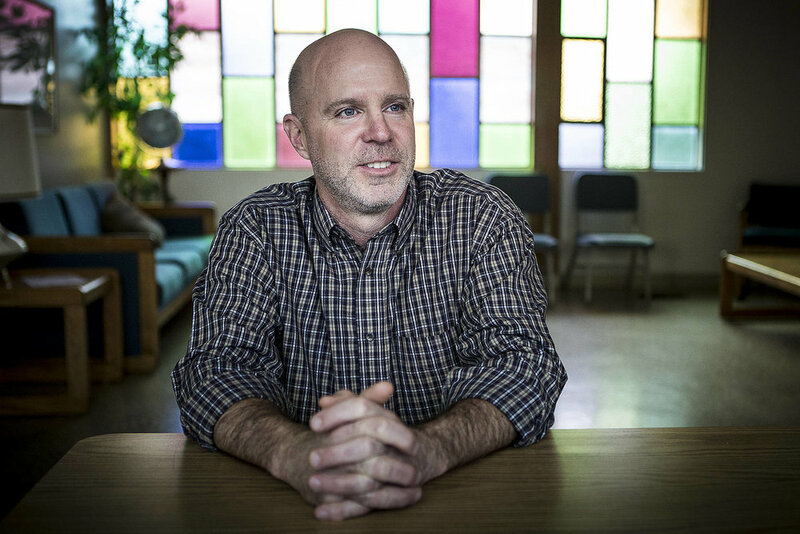 He would keep in mind: “If I were stepping into this new job, what would I want the interim pastor to have done?” More than two years into his stint at Maplewood Presbyterian in Edmonds, in fall he found out who the successor would be. Himself.